Sunday 2nd of August was scheduled for the second SOTA Party. The WX was looking OK for the better part of the day. This time, I wanted to activate Briarty Hill, only a 1 point summit but one that had beckoned for some time, seeing I was always driving past it to venture further afield. I followed the access notes posted by Peter VK3ZPF and map and found them to be spot on. Peters Goat Track is steep and is slippery (it was wet but a good test for my new La Sportiva Boots). I disturbed a number of kangaroos whilst walking up to the start of the Goat Track and easily made the summit in around 50 minutes. The temperature at the commencement was a brisk 4 degrees C, it did not get much warmer once at the summit and a strong southerly wind was blowing. 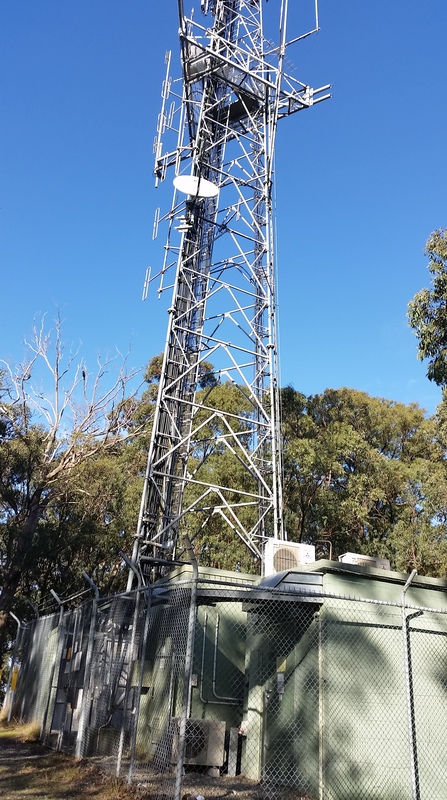 I set of to the north of the summit on a 4WD track down from the communications tower. This site was relatively RF quiet. Propagation was pretty poor other than the regular chasers on 40 metres. 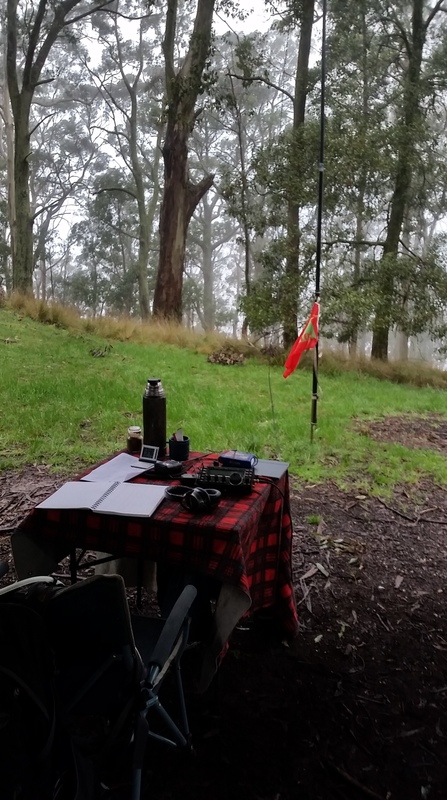 I did manage a 10 metre S2S with Glenn VK3YY on Mt. Disappointment VK3/VC-014. In total, 10 S2S contacts, 28 contacts in total including 8 on CW. It turned out that the event was a late scratching due to diabolical weather in VK1 and VK2. Last QSO was at 01:27 UTC and it was then back to the van for lunch and decide what was to be next. I decided for an easy activation of Mt. Dandenong and, whilst in transit, worked Glenn VK3YY/P now on Pretty Sally and attempted to schedule a S2S once I arrived.In retrospect, I should have set something up for 6 metres FM from the car park as I just missed Glenn due to the time to set up my HF station and the bad weather at his end. All up, quite happy with the results and packed up before the rain hit. 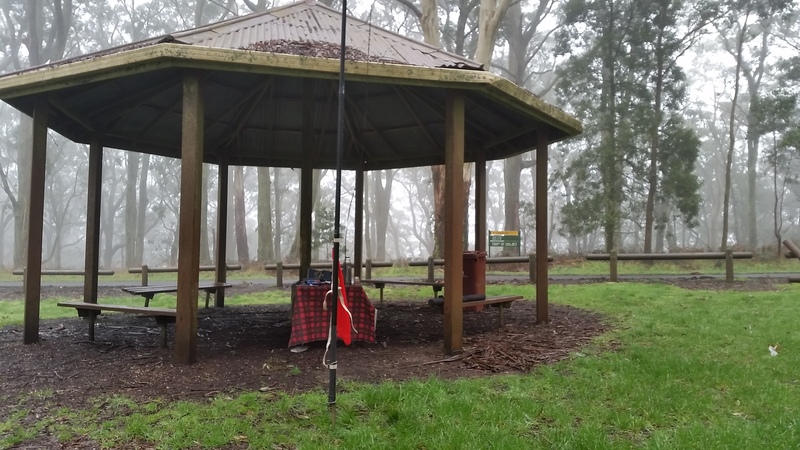 My original intention was to activate Mt Donnabuang for some winter bonus points but with rain, snow, strong winds and freezing temperatures forecast, opted for something that was going to be more comfortable and meet the following criteria. Drive up summit, shelter, phone coverage, close to other summits, not too far from home. Mt. Buninyong VK3/VC-018 ticked all these boxes! Less than 2 hours drive from home. Mission Statement: To maximise Summit to Summit opportunities, qualify the summit on CW and keep dry! Leaving home early on the Sunday morning, I chanced a look to the east along North Road. The weather looked sort of OK, well a bit brighter than the westerly direction that I was heading. Was this just an illusion? The sun does rise in the east! Go west they say and that is what I did, the rain started whilst on the Westgate Bridge and did not really let up for the whole journey. The summit of Mt. Buninyong could not be seen from the plains below. The shelter at the summit was looking good and it is there I set up with the comparative luxury of my camp chair and table. I got the doublet antenna set up with as much distance from the metal roof as possible with the ends somewhat elevated to act better as a flat top antenna. I was on air 15 minutes prior to UTC roll over. All up I managed 6 S2S contacts prior to UTC and a further 20 after UTC. This included Glen VK3YY on Mt. Little Joe on 10 metres SSB. We did try 6 metres FM without success. Quite a relaxed activation, time had for morning tea and lunch with a little over 2.5 hours on the mountain. Time now for the next one. Mt. 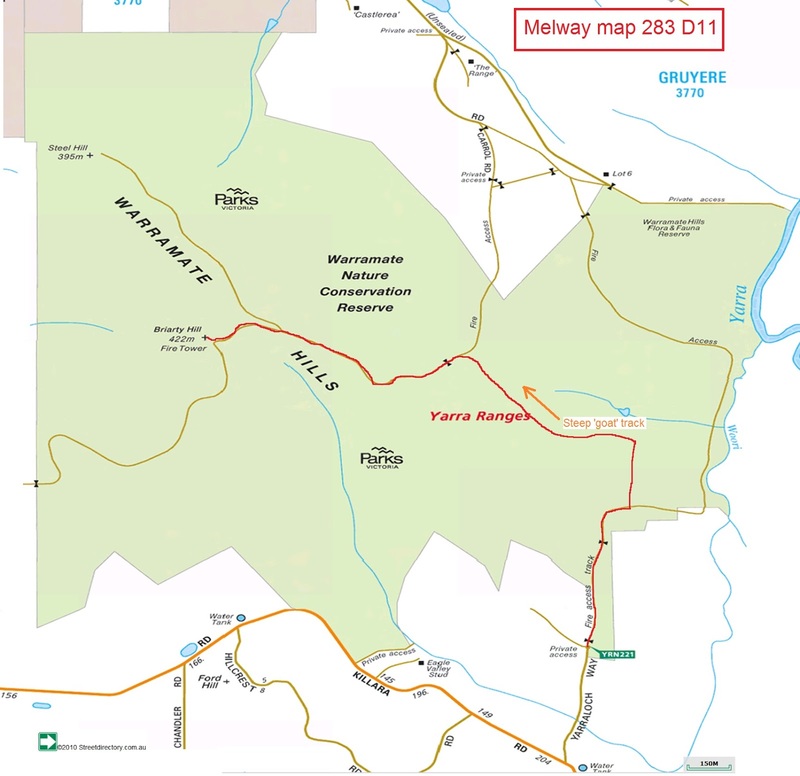 Warrenheip VK3VC-019 is located a short distance to the north of Mt. Buninyong just off the Western Hwy from where it is clearly visible. If approaching from the highway, take the Kryal Castle turn off, drive past the castle entrance and take the next turn to the left. No shelter on the summit. Communications equipment prominent on the summit in a couple of locations. Disappointing to see all the rubbish lying about, definitely not a place for an extended stay. A number of quasi FWDers driving up the road and then taking a slippery side track down the mountain. Why? Just making a mess for no reason and giving the responsible drivers a bad reputation.